Bought. Self made. 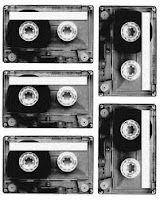 Mixtapes, break-up tapes, make-up tapes. Albums and singles. From local independents like F.L. Moore Records or majors like Our Price. In 1985 I got my first album on cassette (mentioned in previous blog post) Brothers in Arms by Dire Straits. In 1995 I was still recording radio shows (Colin Dale, David Rodigan to name just two) onto cassettes. By 2005 the vast majority of my cassette collection was in a box in the garage destined for a land fill somewhere. 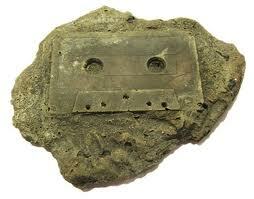 When you think about it the cassette was a technological masterpiece. Small, portable, easy to store, could hold albums, singles and even computer games. Best of all they were easily repairable with some Sellotape™. And yet after 20 years of my life they are already discontinued. We would struggle to find anything to play the very few we've kept on. Makes me wish we had a Walkman™ somewhere for nostalgic purposes. I certainly do not advocate hoarding, quite the opposite in fact. However once in a while I do wish I'd had the notion and somewhere to keep a thing or two for the future.